This is not the first time the Anthony Johnson has gone to his Facebook to state his opinion on things and I am sure this is not going to be the last. Anthony Johnson this time decided to call out Ryan Bader he is currently on a five fight win streak in the UFC. Check Johnson’s Facebook post below. 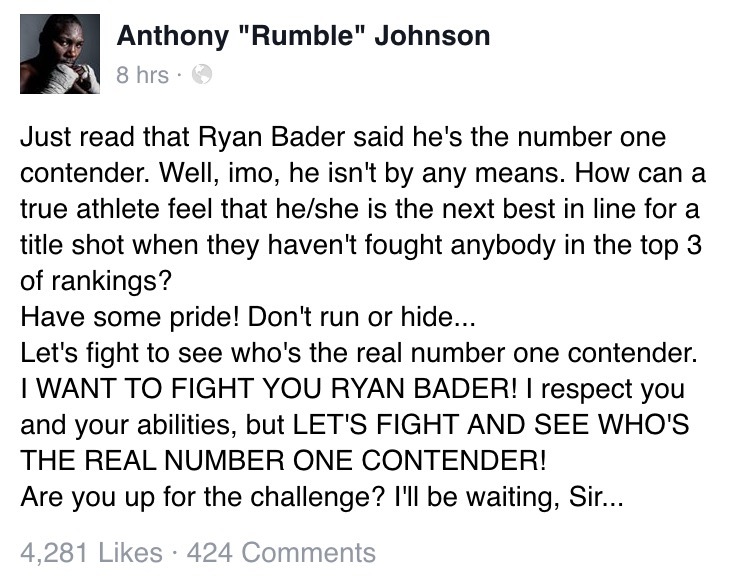 Ryan Bader has yet to comment on this recent call out from Anthony Johnson. Jimmie Rivera says you can expect "Non Stop Action"